Lisa Rosen is the Executive Director of the UChicago SLC and the Research Program Director for its initiative, Successful Pathways from School to Work. 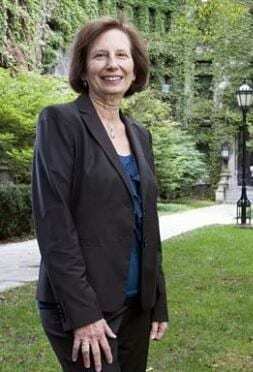 In collaboration with Susan Levine, she provides overall direction for the Center, including managing its long-term strategy, creating strategic partnerships, and developing new, collaborative initiatives to translate research on learning into interventions that can improve learning in both home and school settings. She holds a Ph.D. in cultural anthropology from the University of California at San Diego. She recently completed a book with Stephen W. Raudenbush and Elizabeth McGhee Hassrick, The Ambitious Elementary School: Its Conception, Design, and Contribution to Educational Equality, available from the University of Chicago Press. The book draws on her prior work as a Research Associate (Assistant Professor) at the Urban Education Institute, where her research examined the social and cultural dimensions of urban school effectiveness and improvement. Susan C. Levine, the Rebecca Anne Boylan Professor of Education and Society in the Department of Psychology at the University of Chicago, is the inaugural faculty director of UChicago SLC. She serves as the co-PI of the Spatial Intelligence and Learning Center, an NSF Science of Learning Center. Her research focuses on the development of early mathematical thinking, including numerical and spatial aspects of math, and how variations in home and school input relate to children’s learning in this domain. 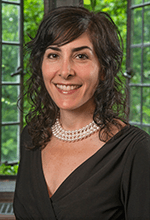 Dr. Levine also studies the efects of early parent-child language interactions on the language and cognitive development of children who have incurred a pre- or perinatal brain injury. She has recently summarized these findings in a series of articles and in a co-authored book entitled Neural Plasticity and Cognitive Development: Insights from Children with Perinatal Brain Injury.